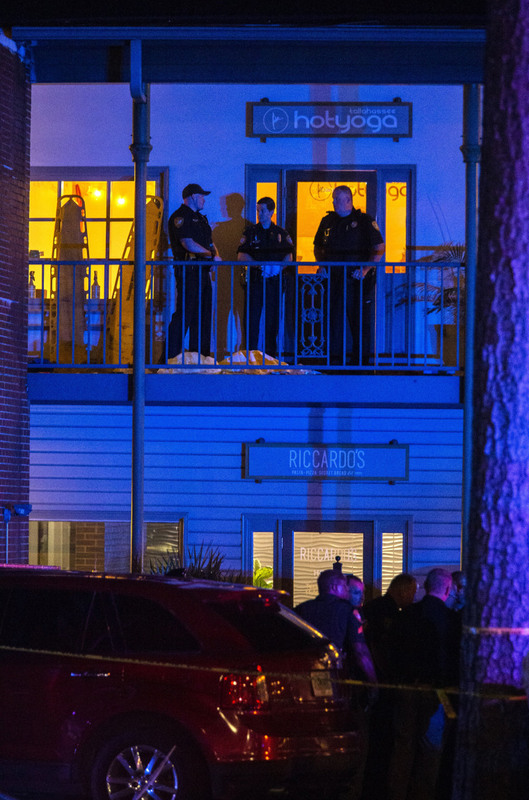 A gunman killed two people and wounded others at a yoga studio in Tallahassee, Florida, on Friday evening before apparently fatally shooting himself, officials said. Tallahassee Police Chief Michael DeLeo said the shooter died from a possible self-inflicted gunshot wound. DeLeo told reporters that police were called for a report of a shooting at around 5:37 p.m., and arriving officers found multiple victims suffering from gunshot wounds. Six victims were shot, and another victim was pistol-whipped, DeLeo said. One victim who was shot died at a hospital, and police said later Friday night that a second person who was shot also died. DeLeo said that all indications are that the gunman acted alone. DeLeo said that police have tentatively identified the gunman, but his name was not released Friday night. Investigators “are working diligently to try to link a connection between him and any of the victims” and to determine any motive, DeLeo said. Tallahassee Mayor Andrew Gillum, a Democrat who is running for governor, tweeted his appreciation to law enforcement for their response to the shooting, and said that he would be breaking off the campaign trail and was returning to the city Friday night. A campaign event had been scheduled in West Palm Beach on Friday evening. The Tallahassee Democrat reported that a man who was in a nearby bar said people had come in looking for help and that they said a man in the yoga studio, called Hot Yoga, had been acting strange before he opened fire during a class. The newspaper reported that one of the people who sought safety, who was bleeding from the head, told patrons that he tried to stop the shooter but the gunman pistol-whipped him before the shooter killed himself. Witness Elle Welling told the AP that she was leaving a liquor store across the street from the shopping center and saw at least three people loaded into ambulances. “You don’t think about this in Tallahassee and now you have to,” said Welling, 26, who lives in the neighborhood. DeLeo asked that anyone who was in the area from 5 p.m. until 6 p.m. and who may have seen something to contact police. “You may have a critical piece of information that we need,” DeLeo said.